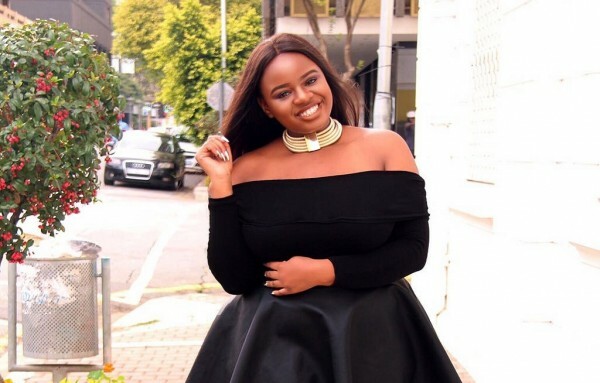 JOHANNESBURG – Photographer and plus-size blogger Lesego ‘Thick Leeyonce’ Legobane trended on social media after she hit back at a body-shamer on Twitter in a spectacular way. Thick Leeyonce is known for posting body-positive images of herself. The Wits Political Science major embraces her curves and advocates for women who do not conform to stereotypes. 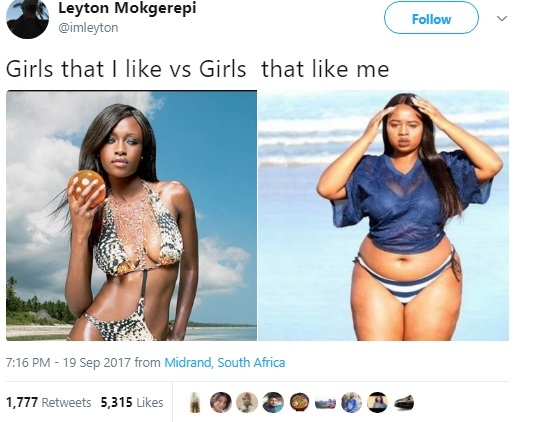 Twitter user Leyton Mokgerepi‏ posted a meme placing a petite woman on the left and Thick Leeyonce on the right next to each other. The meme reads “Girls that I like vs girls that like me”. But Thick Leeyonce was having none of it and put Mokgerepi down with just a few choice words. Damn! Thick Lee clapped homie so casually. No vulgarity, nothing! LOL! Other plus-size models and bloggers like Yoliswa Mqoco have made waves in the fashion industry because they celebrate their bodies unapologetically. Despite some mean comments on Twitter, many have come out in support of Thick Leeyonce. That guy thought he was dragging ThickLeeYonce ganti na mo drag-a to prosperity. Was an ambulance able to get this dude to the burn unit??? Is he alive??? People keep tryna drag Thick Leeyonce but she staaays winning. Self love is powerful. "Sometimes God allows people to run their mouth about you so they can see they ran their mouth and still couldn't stop nothing"
Thick Leyonce's dismissal of Mokgerepi‏ has received thousands of likes and comments on Twitter and she has received support from American singers Nicki Minaj and Ariana Grande. The model's clapdown has gained so much traction, Teen Vogue has since reached out to her for an interview. Can you guys believe this !!!!! Teen Vogue!!!! I'm obviously in tears right now cos God is just showing off. Are y'all seeing this? Am I crazy ? What the hell! Mokgerepi tried to retract his comment by tweeting the original image of Thick Leeyonce captioned “Girlfriend Goals” but the damage was already.